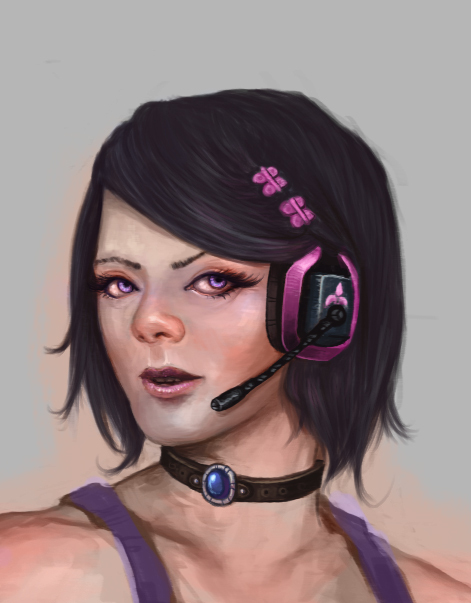 Got some work done on my Saints Row 3 character portrait. 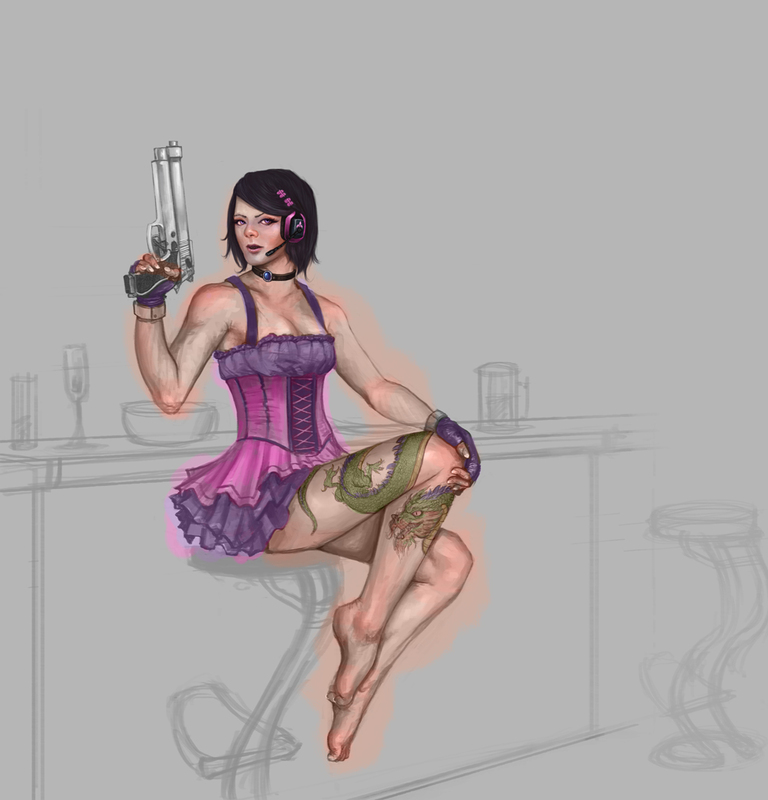 Don't really know how I feel about the tattoo, it's kind of distracting. I might try and subdue it, or remove it altogether.